This company is amazing, I would not hesitate to recommend them. I ordered a mirror splash back behind our stove and right across that area. From quote to job completed, the service was outstanding. When they gave a time they stuck to it or were early and gave me notice. Eg: told 2 weeks to install within a week ready to install. 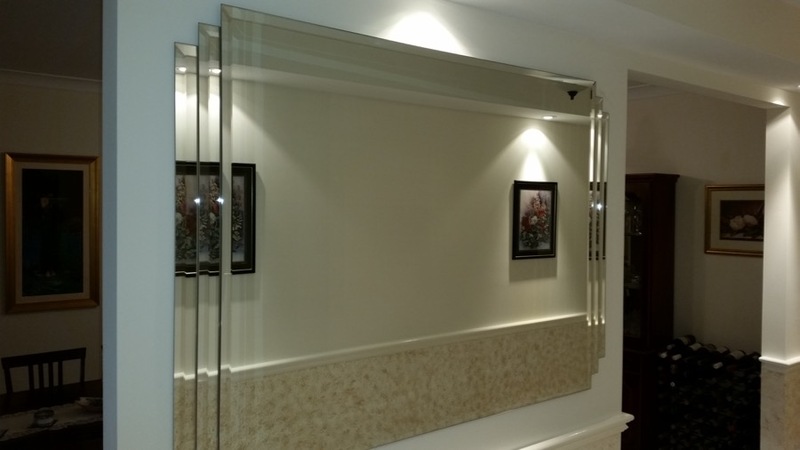 After being told by various other companies, and bigger glass companies in the market that a plain silver mirror once heat proofed would be distorted and not advisable, or they just simply don’t do silver mirrors only tinted. . This is not the case with distortion ( very slight in one spot right where Colin said there may be around the corner part, not even worth mentioning). DELTA GLASS had no problem heat proofing a silver mirror splash back. We have no window in our kitchen and I did not want a tinted mirror in the kitchen to make it darker. They simply did what I asked for and to precision measurements, in a timely, friendly and extremely professional manner. Very rare these days. Where pricing is concerned they are pretty much on par with some other companies and in most cases I found DELTA CAME IN A FEW DOLLARS CHEAPER. Quality, price, service I would not use any one else. We have been renovating our whole house and of all the trades people / companies we have dealt with DELTA GLASS is the only company I would recommend (along with our electrician) their product and service is absolutely outstanding. Thank you very much to all staff from start to finish, keeping us informed……it looks amazing and done a week early. Thank you.